Live vehicle tracking, at its simplest, is a means to locate your company's vehicles in real time and report on their historical activity. However, the main benefit of our business vehicle tracking system lies in its ability to answer critical questions, instantly! How far away is my driver from their delivery? How many hours of overtime have actually been worked this month? Which driver is the nearest to that collection? 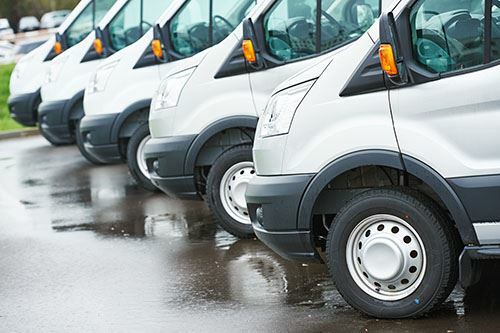 How can we be sure that our company's commercial vehicles are not being used out of working hours? All of these questions can be instantly answered by using our internet-based, live commercial vehicle tracking system. Our system is designed to gather the information that is critical to you and deliver it in an easy-to-understand format, so you can take actions quickly and effortlessly. Tracking information on your van, HGV or other commercial vehicle is gathered minute by minute, 24 hours a day by a GPS tracking device. This data can be viewed live or retrieved later with just a few simple clicks. Why DCS 2 Way Radio? Our sister company, Track King Ltd, was set up to provide the best possible commercial and fleet vehicle tracking solutions to businesses across the UK - all based on their individual requirements. We provide award-winning vehicle tracking from the very best manufacturers across the whole market. Our system will provide you with the following features and benefits. We realise that customers want the very best product, but they want it at the right price without the risk of committing themselves to long contracts. This is why our offer is simple; we provide our customers with market-leading live tracking solutions, fully supported for a fixed cost of £3.96 plus VAT per week per vehicle.